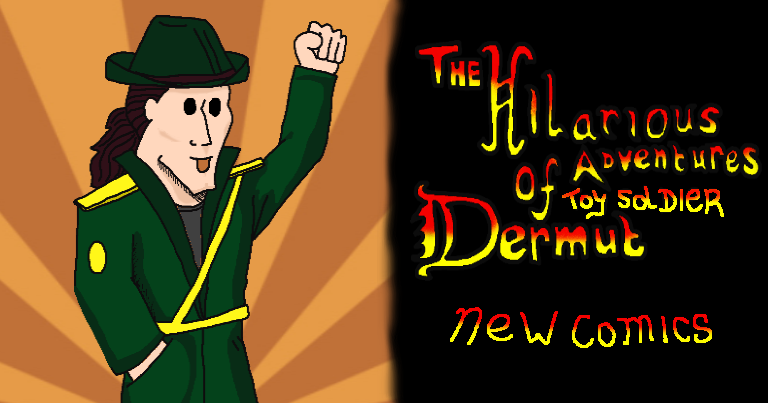 You are here: Home / News / The Adventures of Toy Soldier Dermut / The Hilarious Adventures of Toy Soldier Dermut. There you go, a whole bunch of comics. Want more? check back here next month! Next Next post: No, two wrongs don’t make a right! – Mad Monkey Maintenance inc. Brilliant as always! Bravo! Bravo!